Finding myself with a bit of spare time, I thought I'd summarise the various ways to select cells using VBA within Excel. 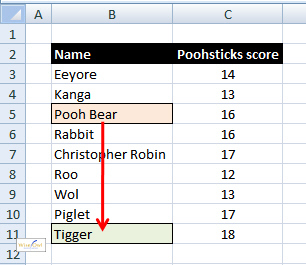 I've also blogged on how to select cells relative to your starting point. This entire blog works for Excel versions 2010, 2007, 2003 and older versions. You can try any of the examples contained it by downloading this Excel workbook. Commands to select rows, columns and the entire worksheet. Unusual commands (intersections of ranges, and the like). Something rather puzzling has occured to my worksheet and I'm not to sure why that is the case. If I set a range to a worksheet, I expected that refering to a cell that is NOT in the range would result in an error but it hasn't. this returns the value 30, as expected. I get the value of 50! But I though rng(5) was OUTSIDE of my range, so surely it should return an error?